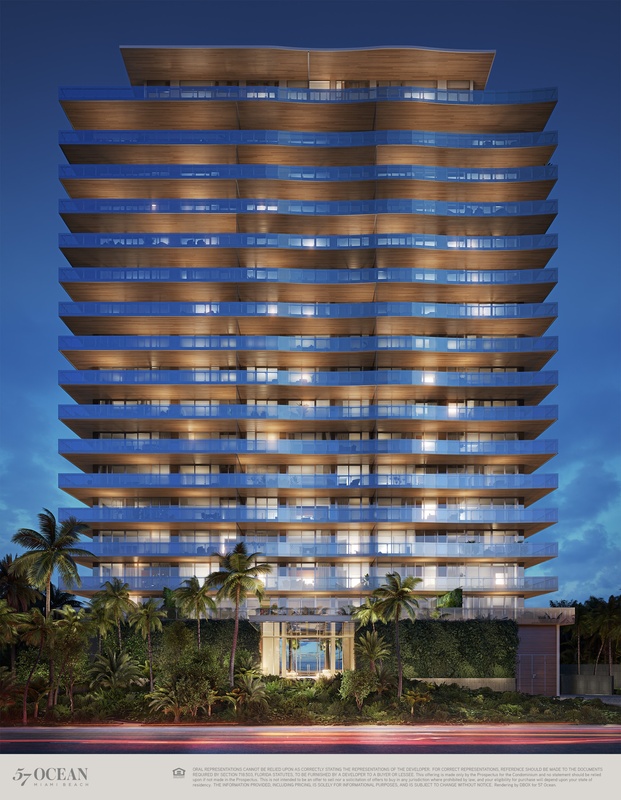 Inspired by the celebratory character of the Brazilian lifestyle, 57 Ocean brings Tropical Modernism to Miami Beach. The undulating wood-and-glass structure, embraced by lush foliage, blends harmoniously with its surroundings on the Millionaire’s Row section of Collins Avenue. 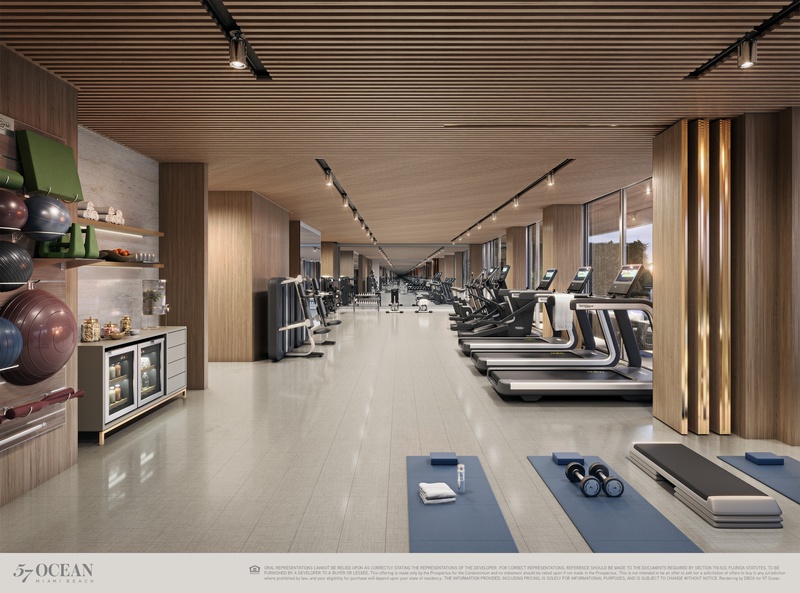 57 Ocean’s amenities are singularly special yet intuitively connected to one another. Boutique 18-story building Two-Four bedroom condos from 1245 sq.ft. 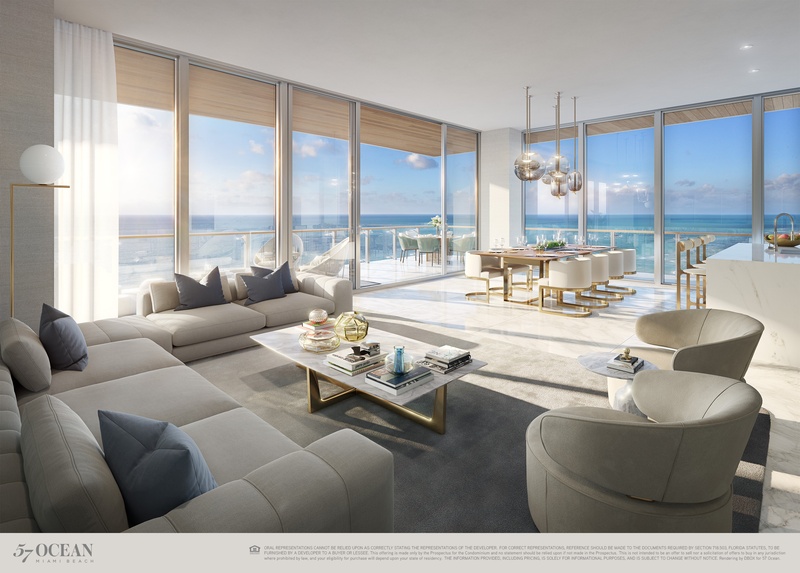 to 3623 sq.ft Starting at $1,5M designed by award-winning architecture firm Aquitectonica the undulating wood-and-glass structure, embraced by lush foliage, blends harmoniously with its surroundings on the Millionaire’s Row section of Collins Avenue. 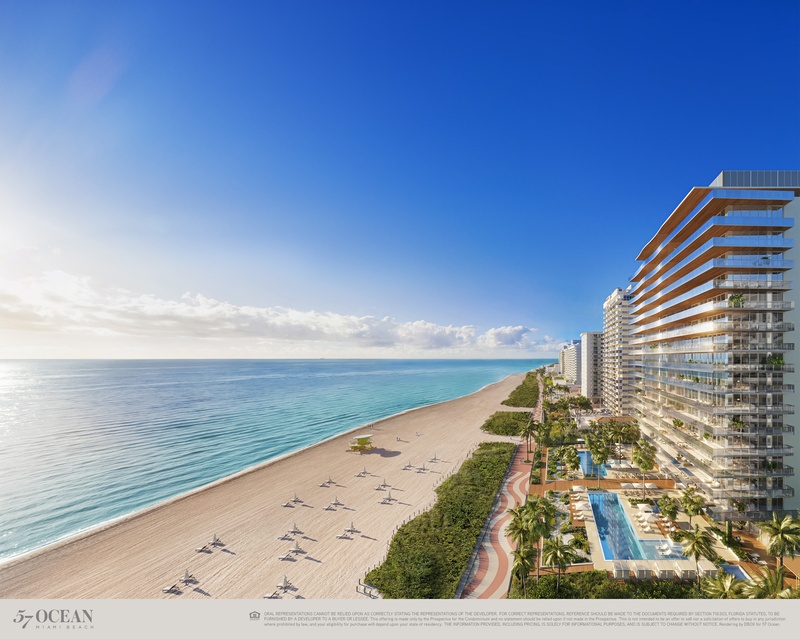 Its prime location provides easy access to the very best of Miami, from the Design District and Downtown to Biscayne Bay and the building’s 220 linear feet of beach. Each of the 81 residences are graced with private elevator entries, streamlined Poliform kitchens, comfortable bedrooms and deep wood-lined terraces—true extensions of the home—whose glass balustrades frame the city or the sea. 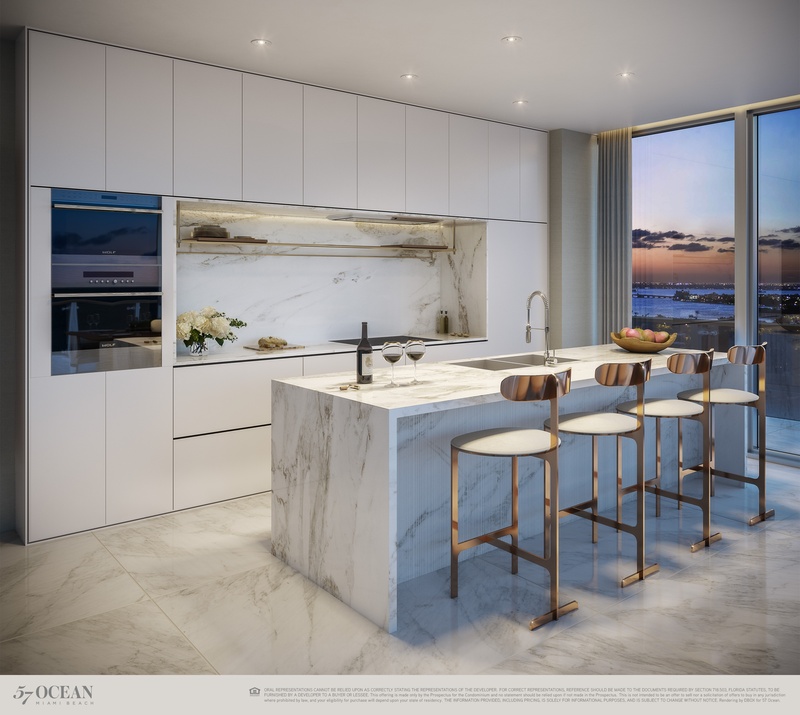 Conceived as one comprehensive suite delivered in many parts, 57 Ocean’s amenities are singularly special yet intuitively connected to one another. Two-Four bedroom condos from 1245 sq.ft. to 3623 sq.ft.